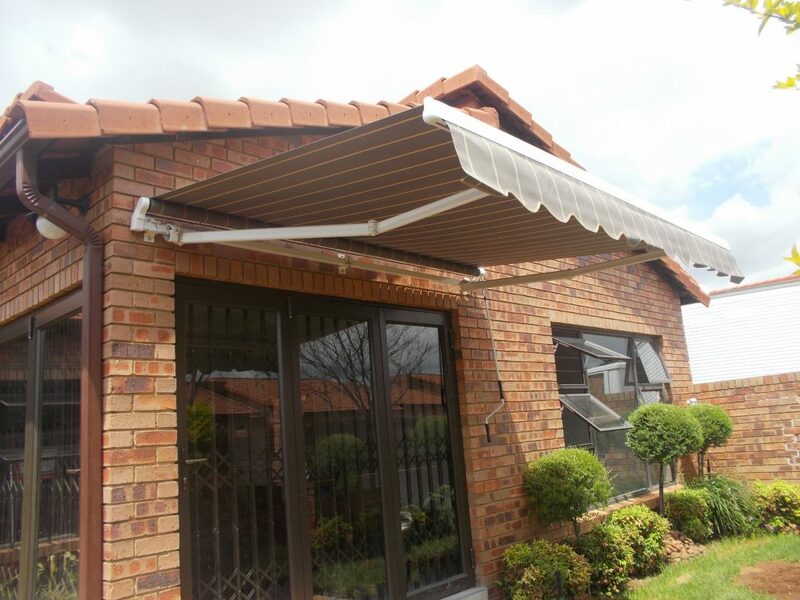 Canvas fold arm awnings extend your living space to the great outdoors with the comfort of a shady tree making your patio or deck cool enough to enjoy on hot summer days. Elegant and unobtrusive, fold arm awnings improve the appearance and space for both residential and retail applications. 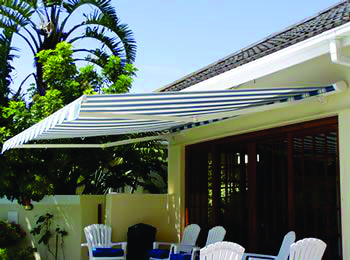 Awning Warehouse provides for all patio solutions including our Dickson canvas folding arm awning designed specifically as a patio shade. 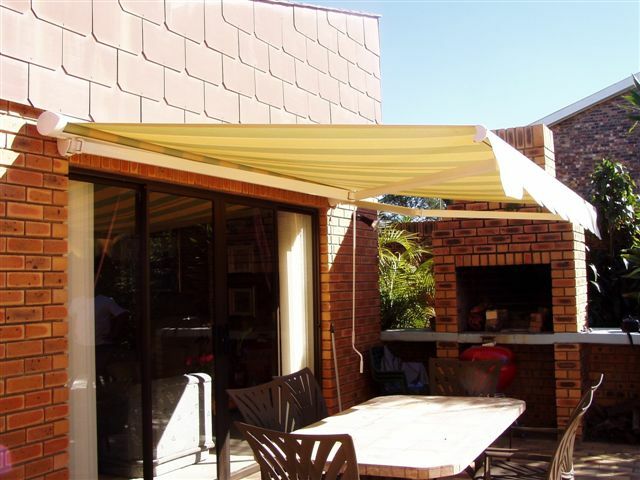 Canvas fold arm awnings are also ideal for decks, terraces, balconies, pool areas, and outdoor areas of restaurants and cafes. 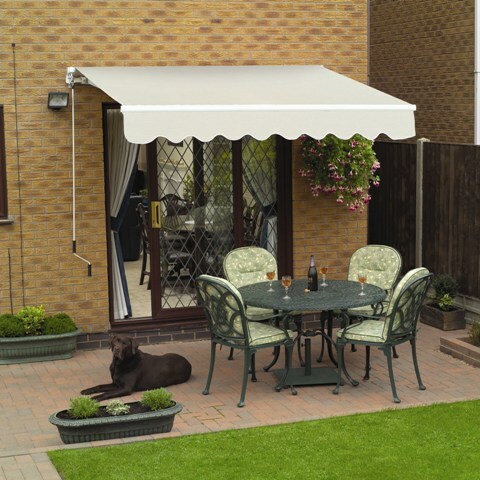 Fold arm awnings provide extra room without construction costs but still gives you stylish upmarket design and the 100% protection of canvas. 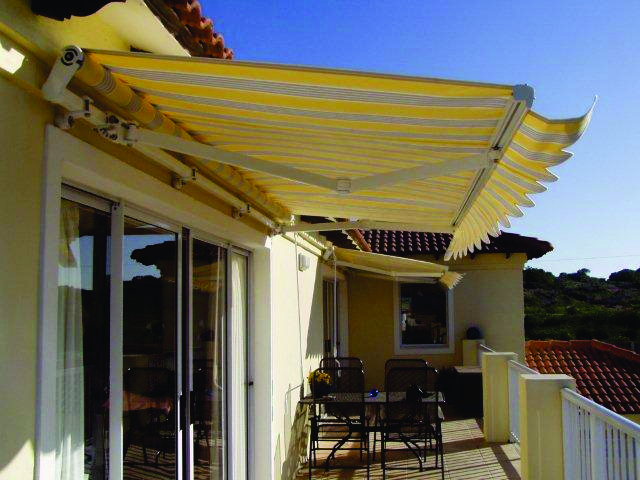 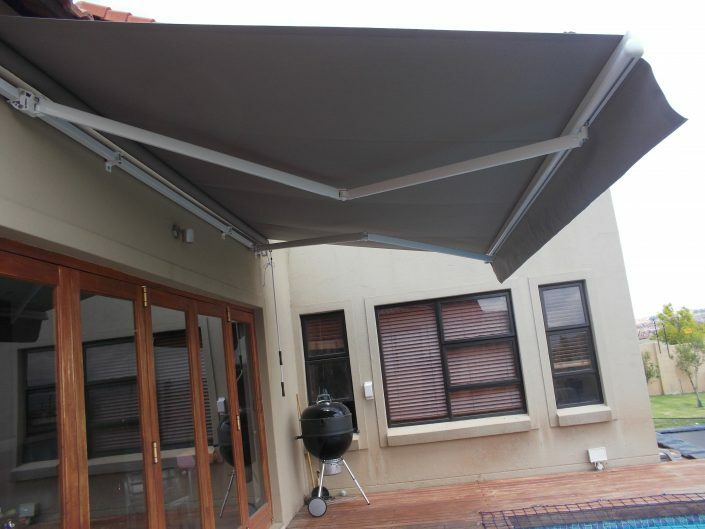 Gearbox operated with aluminium powder coated folding arms and caps, canvas fold arm awnings may be your answer to sun protection as an extension to your outdoor living areas. 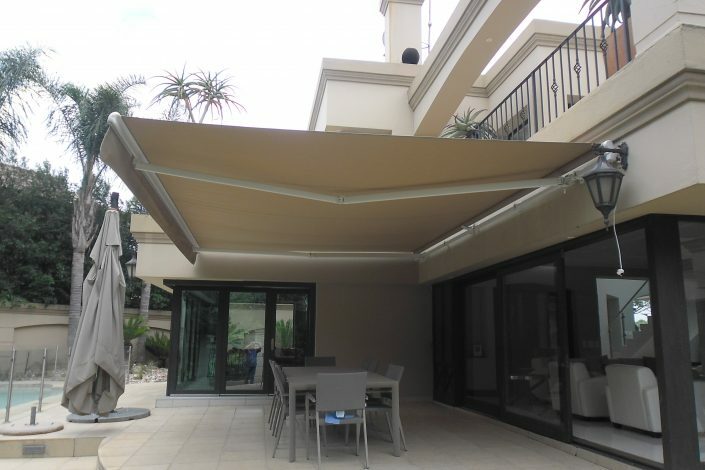 We recommend that you protect the rolled up canvas with our aluminium protection cover installed directly above the unit. 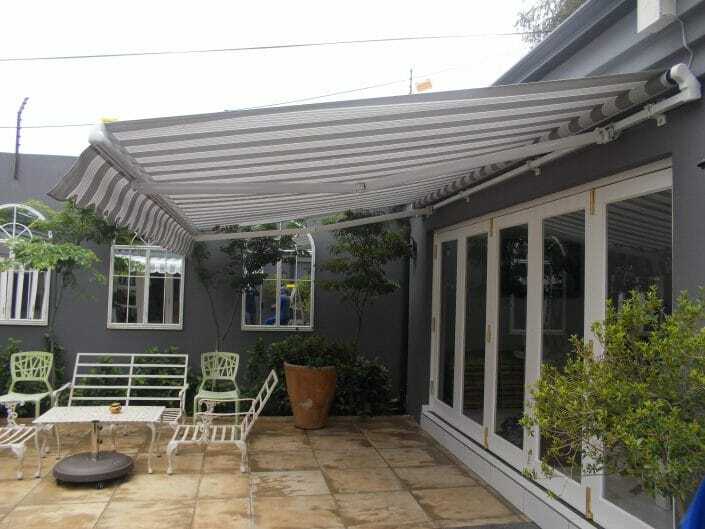 Dickson canvas offers the broadest and most creative range of folding arm awning fabrics currently on the market.